TRUE - SELECT LEVEL YOUTH FOOTBALL! to offer SELECT football for the ELITE youth football player. and all coaches are required to be USA Football Certified. Teams will compete in an "age only" structured format providing a platform for participants to play the proper position for their body size, ensuring their success as they move onto high school and beyond. St. Mary's County, Prince Georges County, Montgomery County, Baltimore, Northern Virginia, and Washington DC. Post season play will be held at some of the most prestigious football stadiums in Maryland. 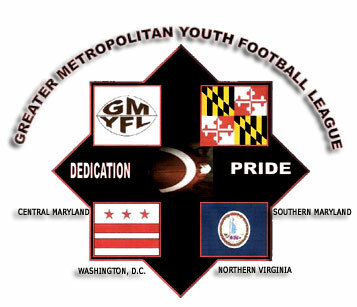 The top 6 teams in each division will qualify for the playoffs to compete for the GMYFL Championship. Division champions are eligible to compete in Regional Playoffs as well as the AAU National Championships to be held in Orlando, Florida. To register for tryouts for the Prince Frederick Eagles Elite simply click on the Registration Tab on the home page of our website, scroll to the bottom of the page and select "Begin Registration".